With Colorado's economy still lagging in many respects, how can we as a state improve health and cut costs? Benjamin Franklin's famous quote, "An ounce of prevention is worth a pound of cure," holds many of the answers. Though health care already accounts for a substantial chunk of the state's budget, results from the 2011 Colorado Health Report Card suggest we should get more bang from our health care buck in this time of harsh economic realities. Released annually by the Colorado Health Foundation in collaboration with the Colorado Health Institute, the latest report card shows the state is making encouraging progress in some areas. Notably, the percentage of children without health insurance declined from 12 percent in 2010 to 9 percent in 2011. But while Colorado is making gains in kids' and adults' coverage and vaccinations for older adults, the report shows that we lost ground in other important areas, including prenatal care (where we rank No. 31 among states) and dental care (where we fell to No. 38). Though Colorado still has the "leanest" adult population, our obesity rate rose from 19 percent to 22 percent between 2010 and 2011. With the increase, Colorado loses the distinction of being the only state in the nation with an obesity rate lower than 20 percent. Not only do rising obesity numbers weigh heavily on Coloradans' health (given the association of obesity with serious chronic conditions such as diabetes, high blood pressure and heart disease), they also impose a huge burden on the state's economy. One study estimates the economic impact of obesity for Colorado at $1.6 billion a year. Clearly, Colorado can and must do better. It's a fact that health and health care are intermingled. But it's increasingly important to understand the relationship between our physical well-being and our economic health. While implementing policies to close health insurance coverage gaps and improve primary care would certainly help many Coloradans, research shows we can improve our well-being and rein in costs by investing in evidenced-based programs that prevent disease and promote good community health. According to the Trust for America's Health, an annual investment of $10 per Coloradan in community-based prevention efforts could save more than $232 million annually in health care costs after five years — a $5.05 return for every $1 invested. Another study in the journal Health Affairs shows that if 90 percent of the U.S. population adopted simple public health practices such as vaccinating children and prescribing aspirin for adults who are at risk for heart disease, health costs would be reduced by $3.7 billion a year. Unfortunately, prevention efforts represent less than 5 percent of every dollar spent on health care in the United States. • The Nurse-Family Partnership. NFP connects at-risk, first-time mothers and their babies with registered nurses who provide care and support to help deliver healthy babies and develop parenting skills. The program reduces smoking, alcohol consumption, and drug abuse by pregnant women, decreases pre-term and low-birthweight rates, and decreases instances of domestic violence. • Cavity Free at Three. This cavity-prevention program for low-income mothers, babies and toddlers helps prevent transmission of bacteria from mother to child. The program offers education and oral health care. • LiveWell Colorado's Workplace Wellness Leadership Group. LiveWell has convened a team of senior executives from around the state to advance efforts to promote healthy eating and physical activity in workplaces across Colorado. These programs, all of which receive support from the Colorado Health Foundation and many others, show that prevention doesn't need to cost a lot of money to be effective when it is implemented wisely. By investing in innovation and practical health policies, Colorado can improve its health while saving a "pound of cure." 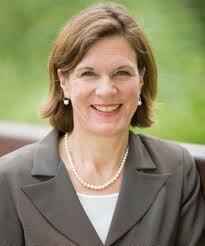 Anne Warhover is president and CEO of the Colorado Health Foundation.